FrootVPN needs a lot of work in order to get to the VPN market standards. It is simply lacking in the features and infrastructure departments. We have to mention however that we've had one of the best customer support experience with them. We hope to see the same commitment in other departments on the long run. FrootVPN started out in 2014 as a free service (check our first review of FrootVPN), with a mention that there is a possibility to become a paid service at some point. This actually happened just a few months later when the Sweden-based company stated they need to move in the direction of a paid service in order to cover the maintenance costs. They offer servers in 19 countries, which is not necessarily a lot, especially taking into account that there are competitors that offer twice as much if not more for close to the same price. The infrastructure is also very important, but in FrootVPN’s case we found that most of the locations were hosted using cloud/VPS solutions from VPS provider Edis, which is quite popular for cheap hosting in many locations, therefore popular with VPN providers. By support we do not mean that they have applications for any of these systems, but just provide OpenVPN configuration files for each server location they have available. PPTP and L2TP/IPsec are also supported but for security reasons it is recommended to use OpenVPN only. PPTP is not secure. Upon trying out their service, we enjoyed the simplicity of the service itself and we also like that they only required an e-mail address in order to sign up. You can keep this provided information to a minimum by using a more privacy-oriented payment method such as bitcoin. There is also a short description as to how the legal side is handled and which serious offenses may compel FrootVPN to share your information with the proper authorities. They claim that they can only share your username, e-mail and current subscription expiry date with a third party. You can check out their full legal statement here for more details. There isn’t a whole lot to talk about when it comes to software since FrootVPN does not offer any kind of proprietary software for any of the supported platforms. As mentioned before, all they provide is a set of configuration files that can be used with third party OpenVPN solution. This is a pretty big disadvantage since you will lack a lot of the basic features that make your connection more stable and secure such as auto-reconnect, kill-switch, protection against DNS leaks and so on. These open-source solutions are meant to provide the basic functionality. If you need help with the setup, or if you are not familiar with the OpenVPN solutions, you can find guides provided by FrootVPN here. They will explain how the setup goes for each protocol and operating system that they support. Since there is no proprietary software, there are no features to discuss when it comes to the application itself, but we would like to discuss the fact that there are some claims made on the website that are not exactly accurate. 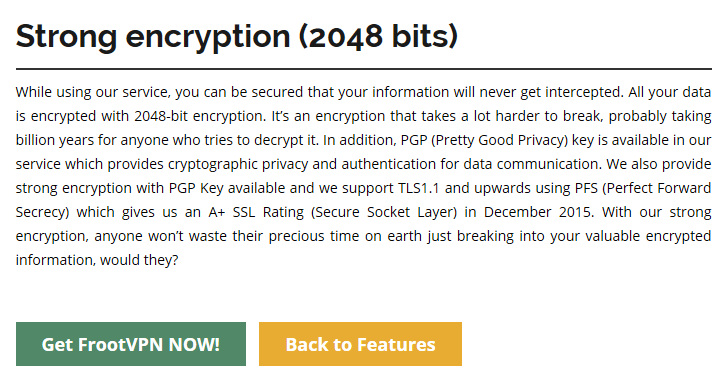 Marketing gimmicks such as “completely anonymous” and “2048 bit encryption” are very often used to promote their service, and they are not 100% true. 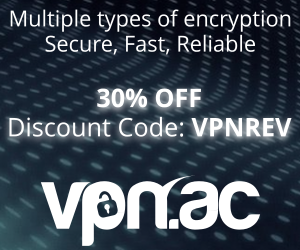 We would also like to mention that there is a 3 connection limit to the VPN service, and that there is a referral program that can earn you extra free VPN service. This program is rather easy to use and should provide you with a good discount if you choose to refer a friend. You can find this option in your main account page. The encryption used is AES-256-CBC, the RSA 2048 is used for keys and it’s not necessarily the best since there are quite a few services that use 4096 bit RSA keys. This is not to say that RSA 2048 is weak, we just wanted to point it out because they claim to have the best service around. We weren’t able to get Netflix to run at the time of this review (January 2017) on any of the servers that we tested. We don’t hold this against FrootVPN as it is part of an on-going effort from Netflix to block VPN providers, but we did want to mention it in case this is something you are interested in using your VPN service for. 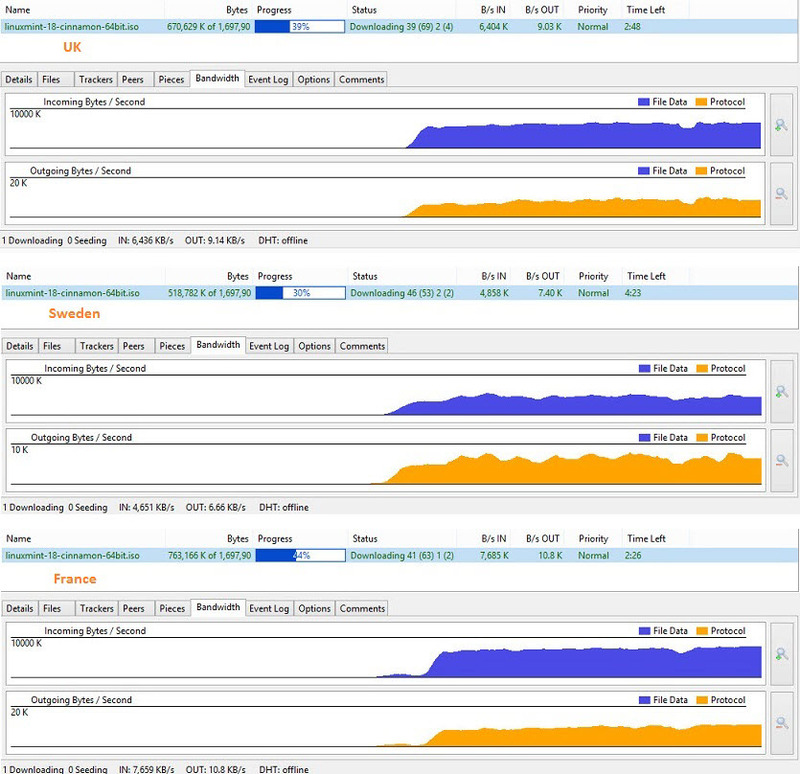 The browsing experience was quite good especially on the locations that didn’t score that high. We navigated through even the more demanding pages without any issues or stutter. The speed was not satisfying to say the least, but on the plus side, there were no spikes and the connection was stable. Depending on your download speed needs this may or may not be a negative side to FrootVPN. The browsing speed was mediocre, and unlike the previous tests we rand for the desktop, these results reflected very poorly on the performance. The mobile browsing experience was sub-par and we weren’t able to conduct average tasks such as loading heavier content or even pages with average traffic. E-mail and text chat were pretty much the only things that performed well on the mobile application. The prices are fair, and initially we were glad to see that they offer a 30-day money-back guarantee. We looked at some reviews and opinions regarding the refunds on their blog, and most of the customers complained that they do not actually refund the money in case you are not satisfied with the service. This compelled us to try it out and the support team was more than helpful. They opened a case and processed our request without asking any too many questions and without endless and useless troubleshooting steps that would delay the process. Once they informed us of the ticket number, the refund was processed within a couple of working days. The technical support team was very helpful in all matters addressed. There were some general questions in the end regarding proxy, which they responded to via e-mail. We also had the matter regarding the refund which we resolved on chat, so both systems were available and the response time was very good. Overall stable connections and service (even though it doesn’t raise to the standards in performance). Transparent company, actually stick to the policies that we ran into. A good number of payment methods accepted to sign-up, including bitcoin. No proprietary applications for any of the supported operating systems or platforms at this time, meaning that the setup process can be tedious and counter-productive for the less-technical users. Most infrastructure using cloud based hosting solutions from low-end provider Edis (not good for security, reliability). Not clear what’s the deal with the Warrant Canary lack of updates in over a year. Some gimmicky phrasing regarding their provided features. 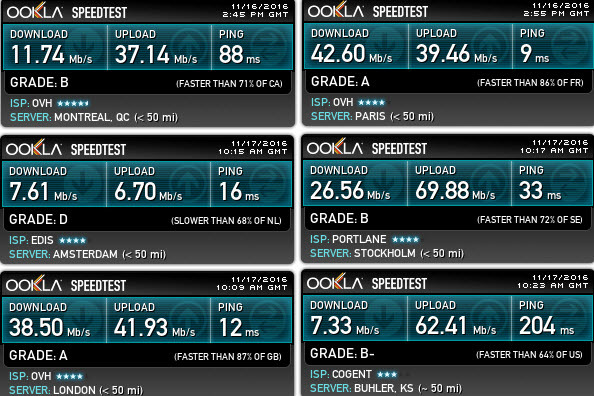 Mediocre speed test results and overall performance. Mobile performance was well below average. Legal page is very similar to ipredator.com’s legal page. After taking into account all the details and the results, we award FrootVPN with a score of 4.5/10 due to inconsistency and lack of features. The infrastructure is also not up to standards for a paid service and we feel that even though it is a promising service, and they are definitely doing the right thing on the customer support side, there are many things that need to be improved.